See "Additional Information" for compatibility. The Mini Rack Access is an ideal solution to create a mini power rack. In less than 1U, up to 4 Mac minis can be installed in a standard 19" server rack shelf or any standard equipment rack. No tools are required for installation of the mini access. The four USB ports on the front allow for easy access to each Mac mini. 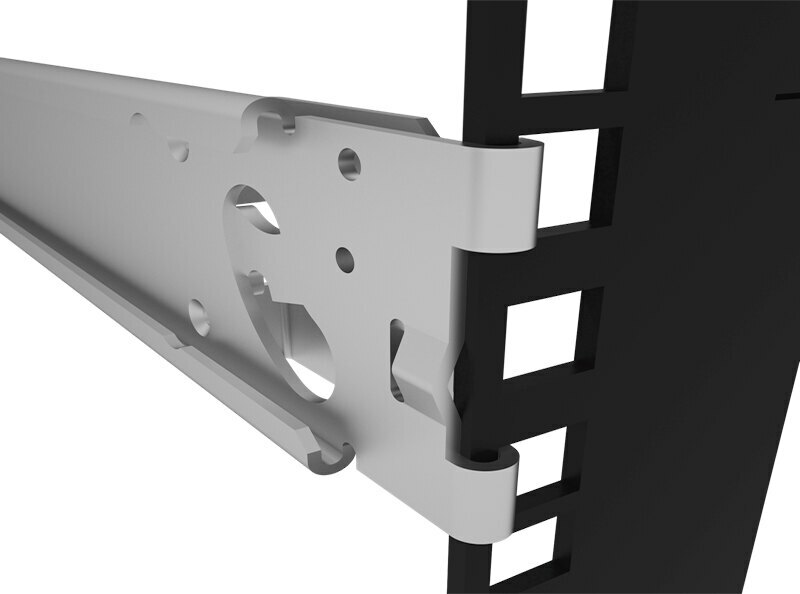 The sliding shelf works with standard mounting depth server racks that are square holed. 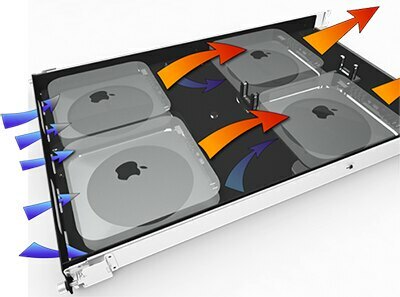 The design of the 19" shelf allows airflow from the front of the rack to exhaust directly to the rear of the rack shelf without trapping them in hot air, the temperature will stay cool even when the Mac mini shelf is mounted between two other components. The layout of the Mini rack allows cables from the front Mac minis to be routed down the center of the rack. Two cable management clips ensure the cabling stays put. There's also an option to install at the rear of the rack. The Mini Rack Access is compatible with Mac mini (2010, 2011, 2012 and 2014). NOTE: This information was provided by H-Squared, LLC. The design of the airflow ducting with the mini rack ensures that all Mac minis are getting fresh, cool air from the front of the rack and that the exhaust is vented directly to the rear. The Mini rack can be installed in less than 5 minutes with no tools. Each rail securely engages the square hole rack posts and then the shelf is slid into place.